The latest DP Studio collection has filled me with inspiration and a determination to make. I'm hugely proud of making my clothes by hand, but I don't want them to be immediately identifiable as handmade (I'm sure a lot of fellow sewists feel the same)! I think it's the extra design details - like the hardware in my last project - that really help to retain that air of 'handmade or high end?' mystery, and DP patterns have their pick of design features. Out of the two patterns that I ordered, I got straight to work on the most seasonally appropriate: the Le 809 Coat. The Le 809 is an oversized, partially lined coat, with two length options (both are pretty long), welt pockets and, the selling point for me, the option of having an 'incorporated gilet' with View A. It helped that I already had the perfect fabric in my stash - a soft, grey leopard print wool (mix I think?) bought at the Harrogate Knit and Stitch Show in 2016. 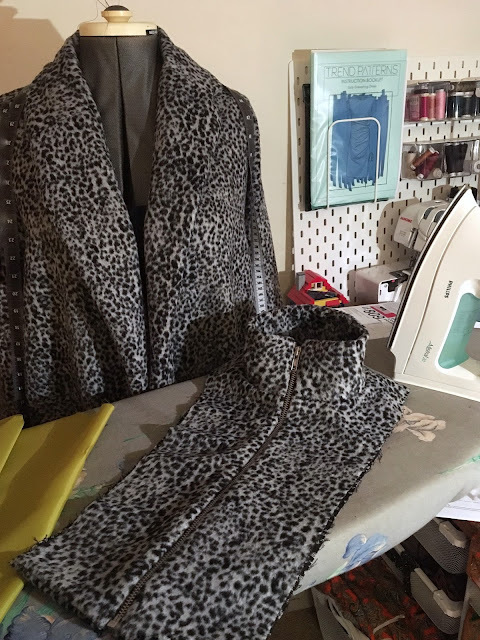 I had been considering using it for the Orgageuse Riga Coat but I knew that the DP Studio Coat would work perfectly with the print as soon as I saw it. The fabric requirements for the Le 809 were confusingly listed as 3.15m on the cover and 3.25m in the instructions, but either way, I managed to squeeze it out of the 3m of fabric I had. Supplies for the Le 809 (with button options)! I thoroughly enjoyed all aspects of this project, but I must admit, I did have a few frustrations with the instructions, the first being the poor listing of required notions. 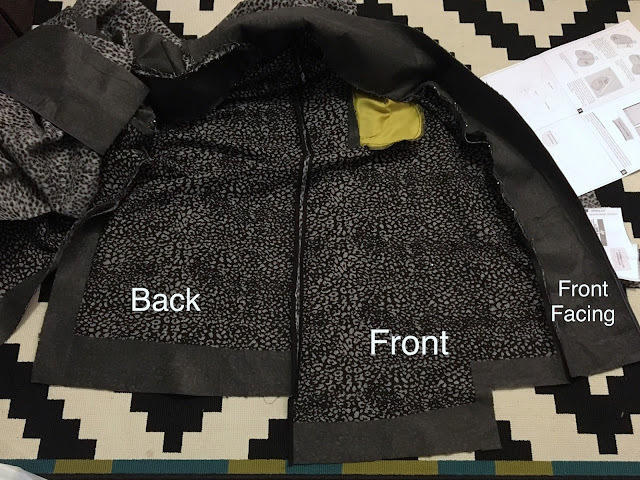 The zip length isn't specified so I had to measure the pattern pieces to work it out - I made the size 42 and found a 40cm zip to be just right. I also used nearly 5m of fusible bias tape - not mentioned until the instruction to apply it - and I was most shocked of all that the requirement for nearly 10m(!!) of bias binding was nowhere to be seen. I've never done so many trips back and forth to town for one project. I think I rinsed the haberdasheries of Leeds of all their black and grey bias binding, so FYI, buy in bulk! A note on the instructions... If you've used a DP Studio pattern before, you'll know that they favour large and quite simple illustrations, usually with fairly short descriptions of how to complete each step. I got on with this format really well for their Knit Asymmetric Dress which is quite an easy make, but I was surprised to find that more detail wasn't included in the instructions for a project as complex as a coat. Perhaps some of the struggle came from trying to understand the translated instructions which don't always read too clearly, but I also found myself having to do a lot of thinking beyond the pattern. The welt pockets are the first things to sew and to be honest, the instructions were baffling. The pattern doesn't indicate where the cutline for the pocket should be, so I attached my welt/facing pieces to the wrong side of the rectangular marking, meaning my pockets sit higher and closer to the side seams than intended. They look fine from the outside so it's no big deal, but the inside is a bit of a mess, which is a shame as the coat isn't fully lined, so they're exposed. Apart from the more time consuming elements like the pockets, the coat came together really quickly. Nearly all of the seams are finished with bias binding (hence the huge amount required) which looks pretty neat, though I would recommend getting a couple of different widths to accommodate the bulkier seams/edges. The collar and facings were all pretty straightforward to attach, but I did stumble with finishing the vent and hem. The hem lines were really confusing, so it might be that I did something wrong at the cutting stage, but the pattern seems to direct you to cut out a square at the bottom of the centre front. It quickly became clear that the rest of the front was much longer than the front facing and back pieces when they were all joined together (see picture above). Even more bizarrely, when I compared pattern pieces with fellow maker Jess, hers seemed to have different cut/hem lines! The slit facing for the vent was also too long, so I cut off the excess on that and the lower front, before winging the rest. I attached the hem to the front facing loosely based on how I remembered doing it on previous jackets (I shortened the front facing by a couple of inches and sewed it to the right side of the bottom front, so that some of the front flips to the underside with the facing) and stitched the rest of the hem by hand. Thankfully the gilet was really fun to construct and quite easy to attach to the rest of the coat. It's essentially a backless zip-turtleneck, made up of 2 layers of the outer fabric (one of them is interfaced) so it's really warm to wear. The collar is a little restrictive when fully zipped up - especially with a wardrobe-staple roll neck underneath - so I would probably shave 1cm off the depth if I made it again. Strangely, the coat is only half lined - a design choice I guess, but after all of the effort with binding the edges (as neat as they look) it may as well be fully lined, and I wish it had been an option. If I made the coat again, I'd consider extending my lining pieces, as my intention was to fully make a statement with my contrast lining (not just a half of one)! After all of the work that went into the coat, I couldn't spoil it with normal buttonholes, so I made my first ever bound buttonholes following a tutorial from Colette. I had to finish them by hand due to the bulk and weight of the coat, but I''m really pleased with them. I wish I'd budged each one up by an inch - you know once you notice something is a bit off and can't stop thinking about it?! - but I can live with them as they are! I bought 3 different sets of buttons to pick from, and eventually went with these cool silver mirrored ones from Duttons for Buttons. I finished up the coat with a lot of hand stitching to secure the different layers of facing/collar/outer together. I'm not sure if this is standard practice for more experienced coat sewists, but the coat does look better to wear for it and is easier to put on without loads of straightening and adjusting. It still sits a little off sometimes (you can probably notice the gilet is a bit bunched up in some pics) but I did the very best I could with it. 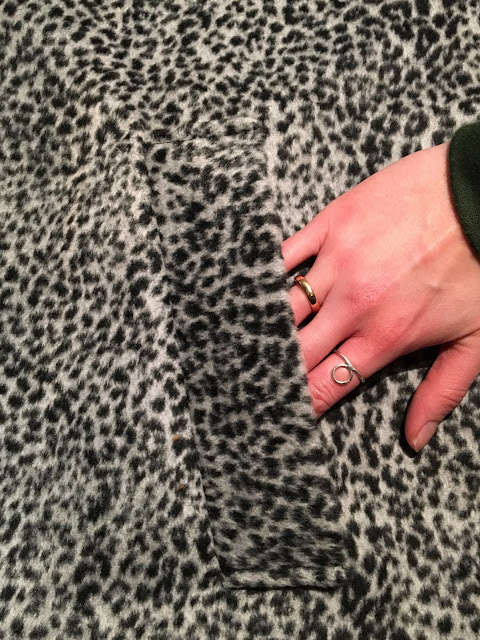 I feel like I've complained about the pattern quite a bit in this post, but I have to stress that I'm absolutely thrilled with my finished coat! DP Studio is in a league of its own in terms of offering such impressive, fashion-forward designs, and although the instructions were a bit sparse in parts, they encouraged me to slow down and flex the skills I already have. Focusing on the step in hand rather than the end goal really did make the process of sewing the coat much more enjoyable. I surprised myself with what I was able to work out and whilst I might not have followed each step exactly as intended, the end result looks exactly as it's meant to, which is pretty satisfying. It's definitely a statement coat, both in silhouette and print, and I'm really happy about it - it feels unusual and very 'cool' to wear! 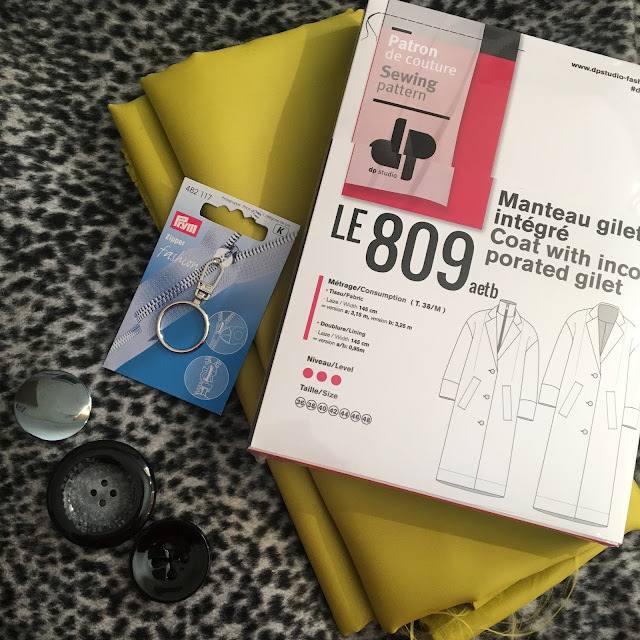 I think I benefitted from having made a few bits of outerwear in the past and would've probably been in tears if not, so I wouldn't recommend the Le 809 for a first attempt at coat making. It is a great make though, and a good challenge if you're willing to put a bit of thought into the construction. I'm sure there are also plenty of sewing tutorials out there to help with some of the trickier bits - the welt pockets, finishing the vent and the front facing/hem. As someone who always had expensive taste in RTW coats, it's such a pleasure to be able to make my own. I loosely costed this make up and the materials came in at around £60. I couldn't imagine finding a coat with such an interesting and unusual design for anywhere near that price on the high street. Successes like this only serve to remind me why I sew rather than shop! I'd be interested to hear about other people's experiences with DP Studio patterns. Their Le 915 shirt dress is next on my list - lets hope the instructions are easy to decipher! It looks brilliant and the fabric is perfect. Very chic. All your hard work has really paid off. Well done. What an amazing coat, it looks superb! I just got their other coat pattern, but maybe a coat like this need a home in my wardrobe too ;) Excellent choices and work! Congratulations on so many fronts - first off what a beautiful coat! And so practical as well. Warm, stylish, unique - it's just lovely. I really have to congratulate you most of all on successfully navigating a DP Studio pattern (2 no less!) AND a willingness to take them on again! 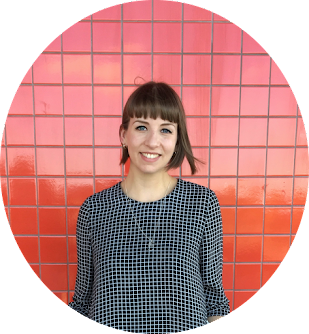 I made (or tried like crazy to) the Asymmetric Knit Top (which I noticed they no longer have in their collection) and there was honestly NO WAY this pattern was going to work. It would not fit together no matter what I did and I asked a few others what they would do and they said the same thing, that this pattern was just wrong. I wrote to them to ask them what I was doing wrong and they emailed me an explanation that made absolutely no sense. It was rather like asking for directions from a couture Martian :) I finally just gave up in complete discouragement and for a pattern that cost me $52 CDN trust me it took some doing for me to just give up. But I was sad too because I just LOVED that design like I do most of what they do. They are unique - producing truly high end, Milan runway type of design so not being able to make it was so much more than simply losing the $. That's the story about why your coat astonishes me and is a tribute to your skill, perseverance and talent. Thanks so much for the lovely lovely feedback Kathleen! I'm pretty thrilled with the coat - more so because I managed to make it work! I am determined to buy and make this pattern, and appreciate your honesty with respect to all the wacky length differences (Seriously, WTF?!?) and instruction/requirements problems. I am really surprised that it's not fully lined (clearly I didn't read much of the description on their site), which is a feature I expect in a warm, full-length coat! I will definitely make that change. The coat is amazing. I might be tempted if I didn't have too many coats already as well as patterns for others. Frankly, I'm amazed by your consistent output! Always a pleasure to read your reviews; they're quite helpful. This is totally awesome Shauni! You did an amazing job. Bravo! Love it. That coat is an absolute work of art! You must be so pleased! It's discouraging to hear of your troubles with this pattern considering I have three dp's on my shelf (one the 809) and have run into similar problems with the 500 top. As you say, these problems can usually be sorted, but it seems weird to make something so beautiful and then not take care with the "details" like matching pattern pieces and accurate instructions. I hope they invest in some quality control, because the designs themselves are fabulous, exciting. On the other hand, your persistence and success are very inspiring! I'll be tackling the 809 after taking my first coat-making steps with papercut or grainline. I hope to have it for next winter in Montreal (which surely won't be fierce as this year's has been?). Thanks for the review. Very helpful! This is fab! Love the fabric and pattern pairing - genius! I agree the DP Studio patterns are quite challenging and force you to think and double think; I also love them for the challenge! I found some discrepancies/errors on a couple of their patterns and I reported back to the Customer Service, which in my opinion is one of the best found in the pattern industry. Thanks again for your thorough review (I've taken notes!!)! Thank you! And thank you for explaining the squares cut out of the front! Someone also sent me a link to a tutorial explaining this method - though I wish the pattern had made it clear enough so this wasn't needed! And yes, the pocket placements are rectangular - I've done welts before, but the cut line has always been clearly marked, and it was no where to be seen on this pattern! I did enjoy the challenge but didn't really expect that there would be such a lack of explanation for some bits! That is a pretty awesome coat. Love the duality look. I have sewn Le 600 the box pleat blouse, shamed to admit it is a UFO and only needs the elastic casing sewn on since last year! I love the patterns but the translating to English needs work. I am drooling over your coat! It looks amazing, and well worth all the hard work. I am a bit DP obsessed, currently finishing up two 504 sweatshirts, and they are turning out wonderfully. Thank you so much for sharing this, as I definitely have this coat on my sewing list. I have this mental image of it made with neoprene, but I have no idea if that would be warm enough! Very cool design and you’ve done a beautiful job as always. Love the lining!